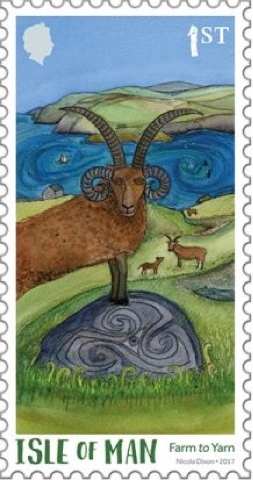 Commonwealth Stamps Opinion: 950. Freemasonry And Food From The Isle Of Man; 76 Guernsey Cruise Ship Strips? 950. Freemasonry And Food From The Isle Of Man; 76 Guernsey Cruise Ship Strips? 🇮🇲 The Isle Of Man Post Office will issue a set of 6 stamps on 11 May 2017 to commemorate the Tercentenary of the founding of United Grand Lodge of England which meant that Freemasonry became established in the country. The issue was designed by Keith Dalrymple and Alex Downie and Glazier Design. The issue was lithographed by Cartor and perforated 14. Rating:- **. 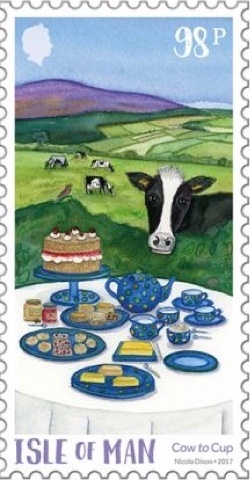 The Isle Of Post Office will also issue a set of 6 stamps on 3 May 2017 which has the title "Green Mann" and which is on the subject of locally produced food with illustrations by Nicola Dixon. 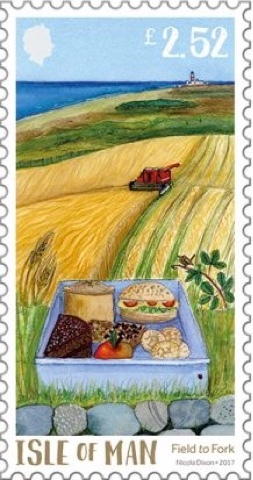 To be honest I'm not a great enthusiast for the art used on the stamps but they are of local relevance and pleasant and cheerful. The set was designed by EJC Design and lithographed by Cartor and perforated 14. Rating:- ***. 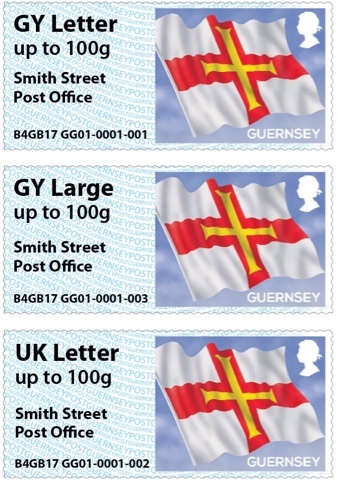 🇬🇬 Guernsey Post's announcement that Post and Go kiosk GG01 will be situated in Smith Street post office during the summer cruising season (see Blog 945) has now been followed up by an illustration of the collectors strip of 6 values with the additional inscription "Smith Street/Post Office". 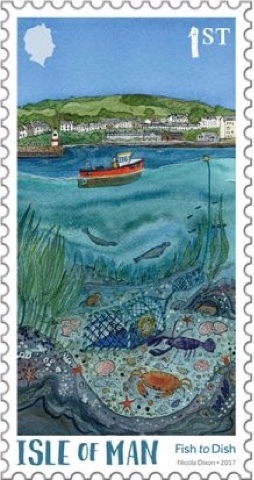 A further additional inscription on the "Lighthouses" stamps will be used to identify individual visiting cruise ships. 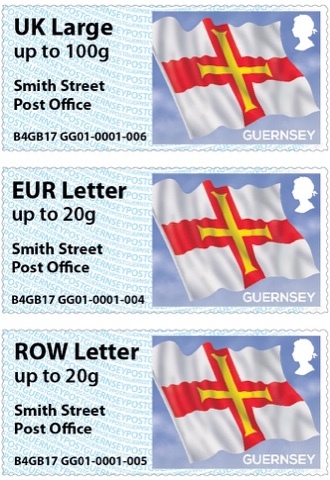 The Flags stamps and 1st Lighthouses stamps will be sold on 21 April but subsequent cruise ship inscriptions will only be available from Smith Street post office and not from the philatelic bureau. Rating:- ****. Why can't the Bureau understand that there will be some collectors who are bound to want to add each cruise ship inscription to their collection and even if Guernsey Post intends the labels to be mainly of interest to tourists travelling on the named cruise ships that there are these collectors who will also want to buy them? 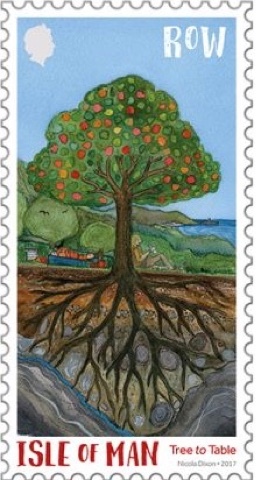 What's the point of a philatelic bureau if it doesn't meet all the needs of its stamp collector customers? I hope Guernsey Post changes its policy and makes all the cruise ship inscriptions available to collectors without them having to travel to Smith Street in Guernsey every time a cruise ship enters port. Hebridean Sky - 31 August. This looks like being a logistical nightmare. Some of the cruise ships in the list are enormous and imagine their disgorged passengers all descending on Smith Street post office determined to acquire their souvenir postage stamps. Imagine what it will be like when two of the larger ships are in port at the same time. Imagine being a collector or dealer's agent on Guernsey charged with obtaining a large number of strips for onward sale to collectors and having to compete with the ship passengers. Imagine being a Guernsey Post employee and having to deal with this lot including having to arrange for the printing of 2 different strips in one day. 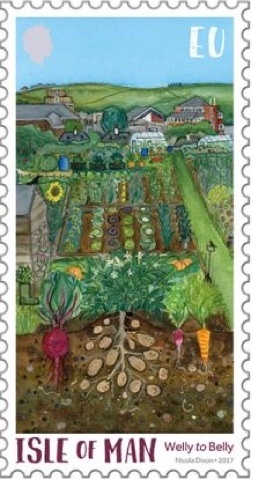 Has Guernsey Post really thought this through. In the season there will be 76 cruise ship disembarkations and well over 20 different ships. It will take a brave collector to get involved with this lot. It will be interesting to see just what happens and how exactly Guernsey Post deals with it all. But I'm prepared to bet that there will be some collectors there brave enough, enthusiastic enough and rich enough to decide to add an example of each ship's inscription to their collections. All the more reason perhaps for the philatelic bureau to put the labels on sale rather than to have collectors and dealers hanging around the kiosk and competing with the target tourists.